Here today with some exciting news, AnnaBelle Stamps is having release…. so today I get to share a sneak peek at these gorgeous new stamps….. I’m sure you will be able to guess the theme. So I needed an engagement card real quick and was inspired by this CARD that I pinned by Amber (thanks so much), she is uber cool and uber talented! 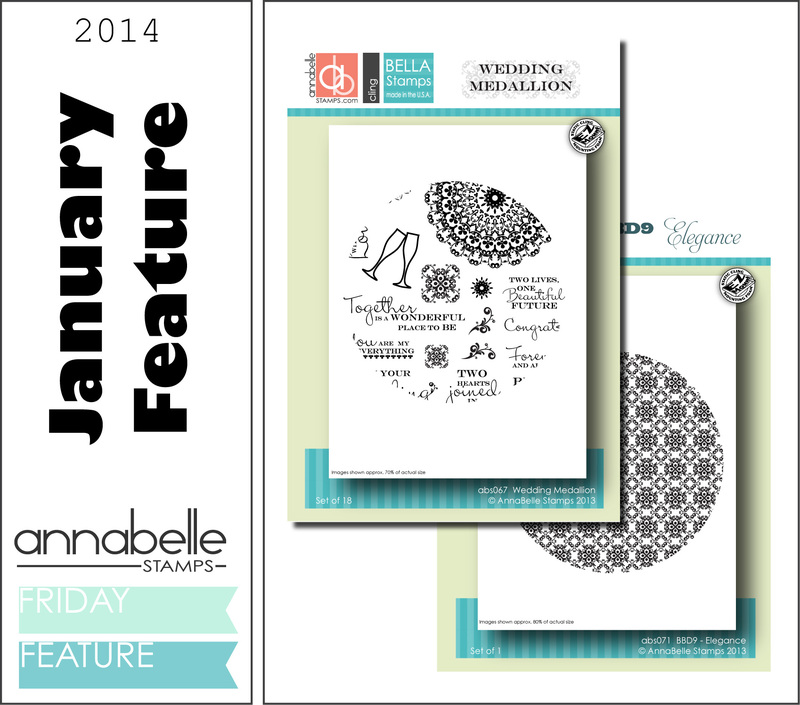 Thanks for stopping by today, you can find more sneaky peeks at AnnaBelle Stamps Blog. Other Supplies: Copic – B000. < Previous You Party Animal…. at Scrapbook Boutique (video)! It’s perfect:) Love the splash of colour and the sparkly wine glasses. Beautiful card! Love the colors and the hing of stickles! Very pretty card, Therese! I love how you placed the champagne glasses and the dots are so fun! Love the sentiment, too! Great card. Just the right amount of colour/pop. TFS. I love the multicoloured confetti/bubbles! So cheerful! And what a great sentiment – these stamps are gorgeous! Adorable! 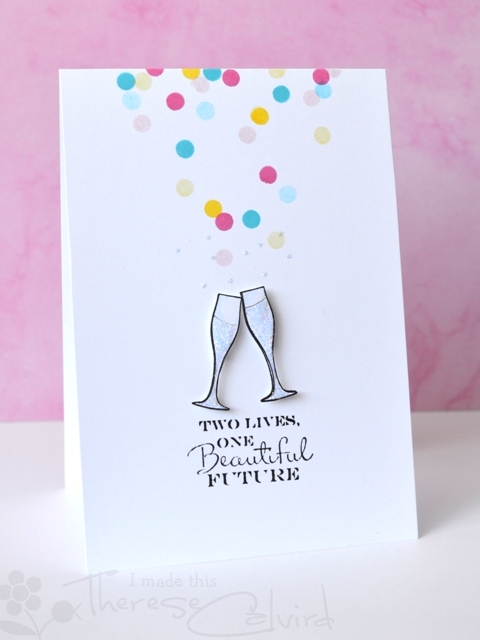 Love the colored confetti and the sparkly champagne! Fabulous! I would never have thought to do this, but it looks awesome!